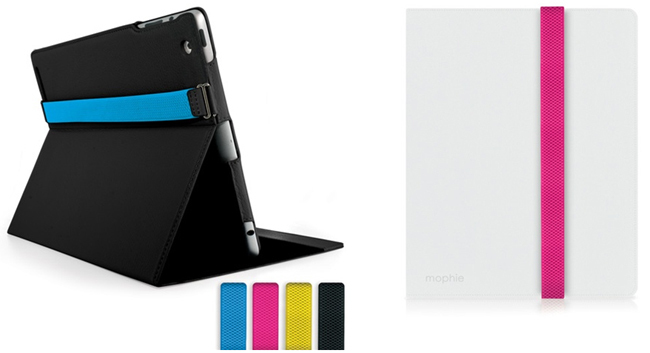 Mophie has released a new folio for the iPad 2 called the Workbook, A thin profiled protective folio style case with magnetic integration for wake and sleep functionality and a faux leather finish. The Workbook includes 4 interchangeable closure straps in different colors to let you change things up for a different look each day. Nice thinking there Mophie. Mophie states that the Workbook offers an infinite number of viewing angles for typing and screen viewing. The Workbook is available now in black and white for $49.95.